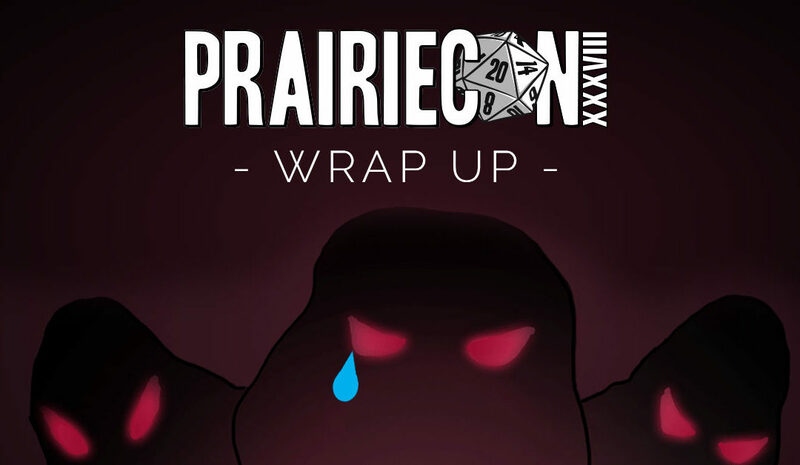 Sadly, another PrairieCon has come and gone, but we hope that you all had an amazing time! 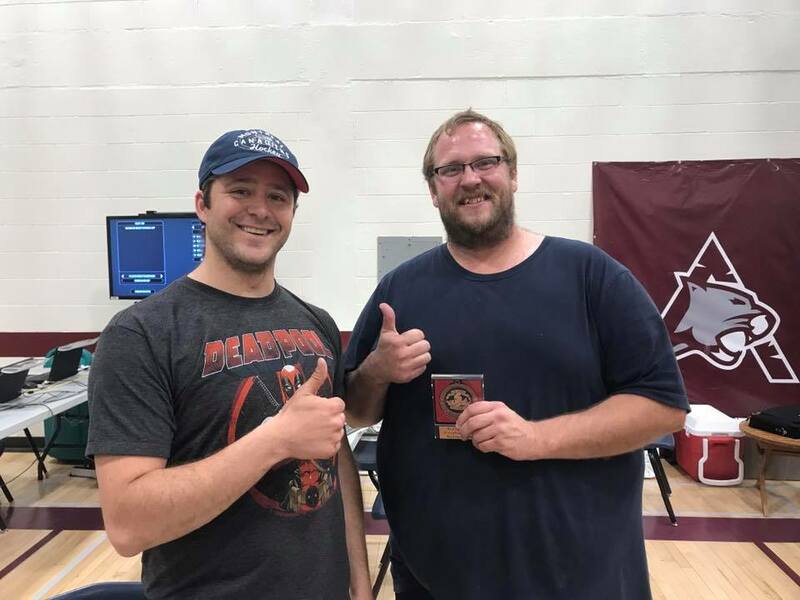 We hope you were able to play some new games, make some new friends and picked up a great new game or too. 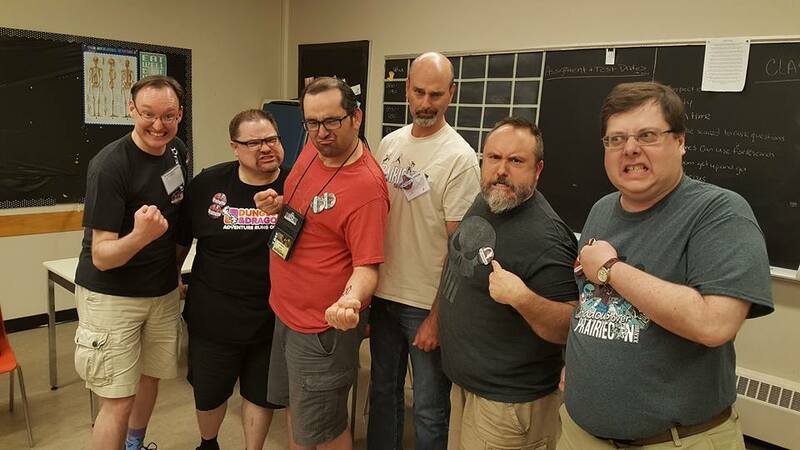 Be sure to watch for the Trump Board Game being run in MANY slots next year so that we can make PrairieCon great again! 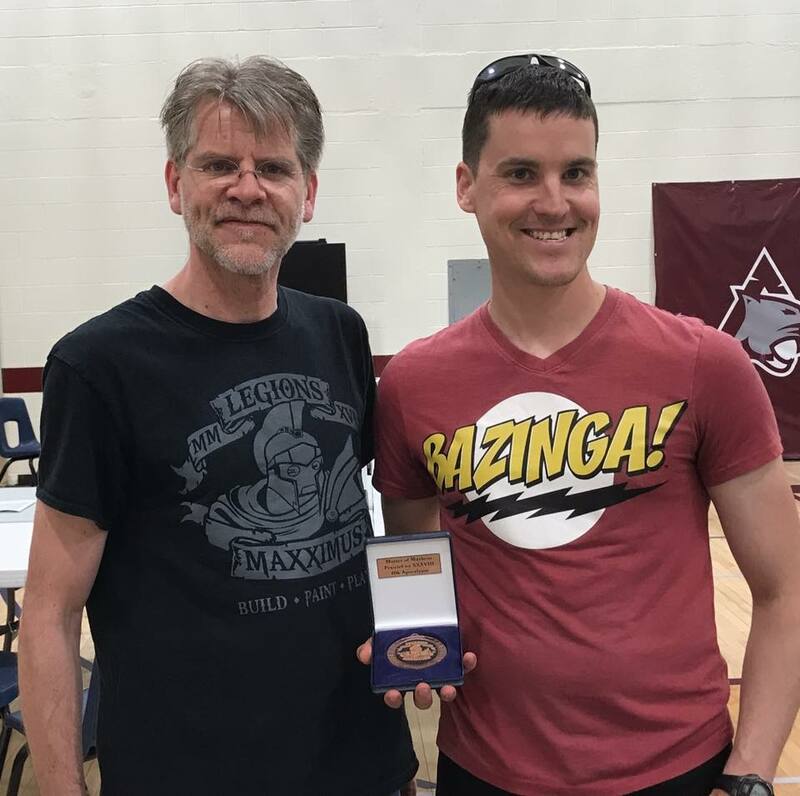 Congratulations to the Mordenkainen’s Watchdogs, winners of the D&D Tournament this year! 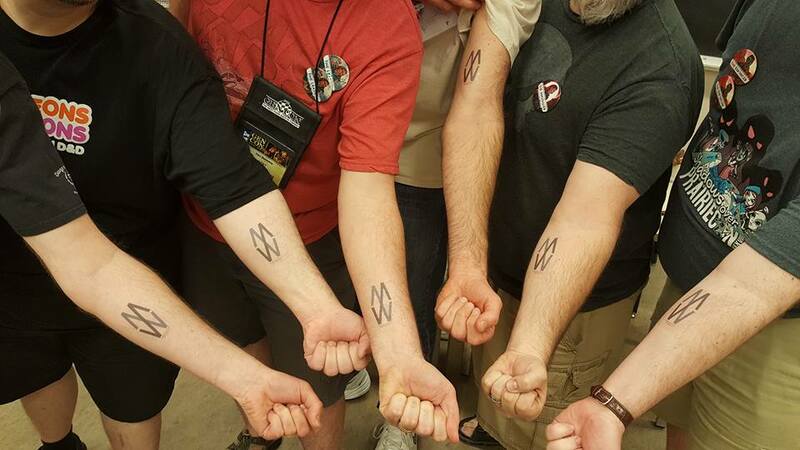 Thanks to all 47 players who participated, and the wonderful cadre of DM’s who ran the sessions. It was great fun, and the groups all did a wonderful job, in spite of moss-induced madness! 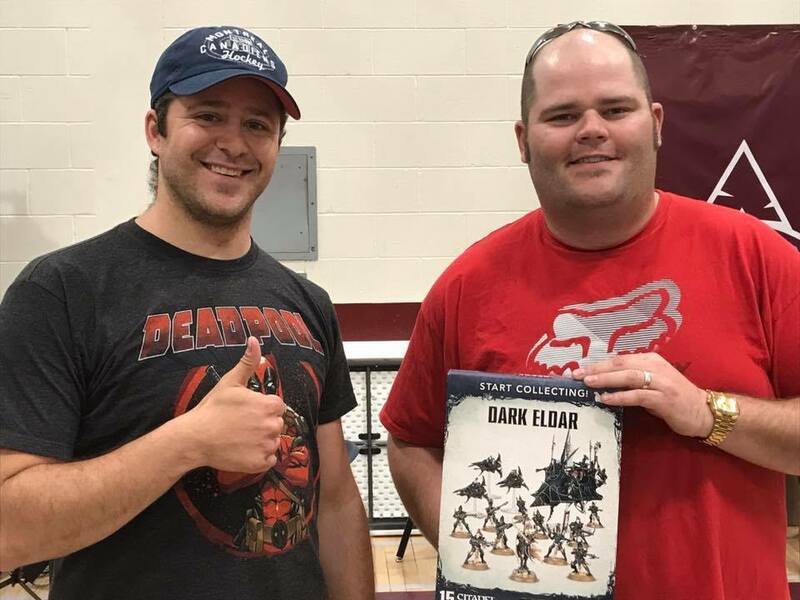 Also, thank you to Alyssa Fraser, Rick Pemkowski and Ernie Cameron for providing original artwork, painted miniatures, and terrain for the event. 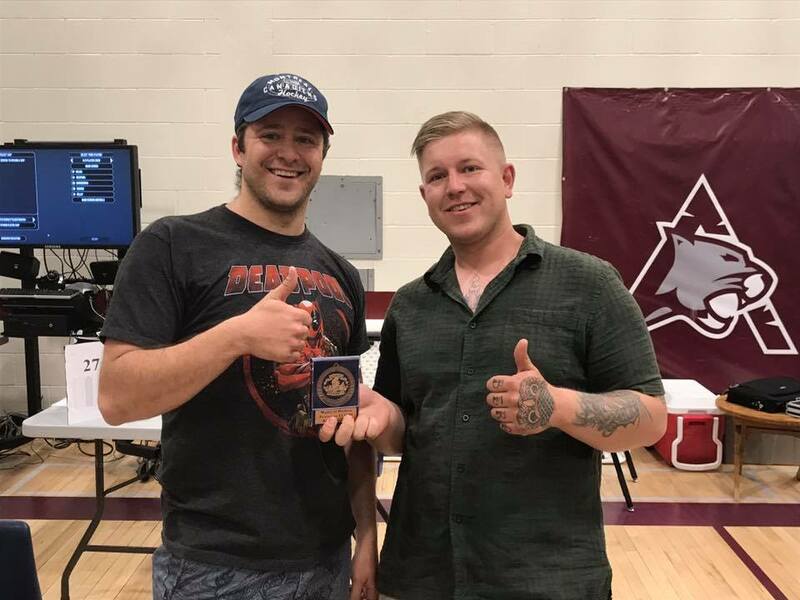 Congratulations to Benoit Deslauriers who took home The Master of Mayhem Metal from Another Roadside Apocalypse. 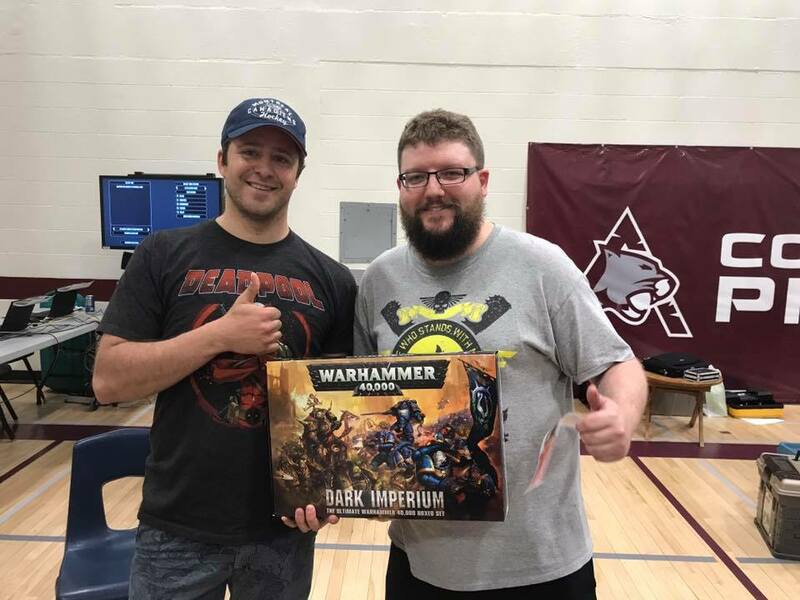 Benoit dished out an impressive Beating on Homer’s Daemons, having been on the receiving end of those Daemons in previous Apocalypse Games I know what kind of a challenge they can be. 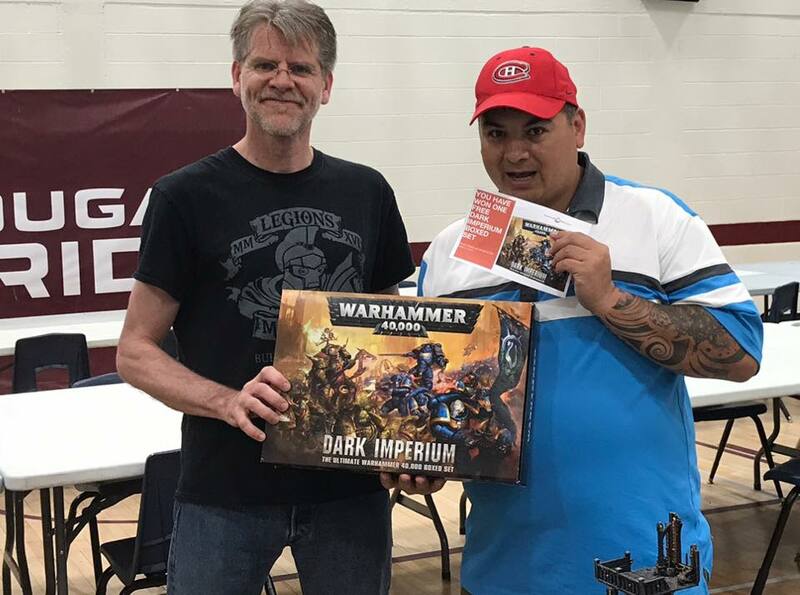 And congratulations to Homer who is taking home the voucher for the new Dark Imperium box set from Maxx Collectibles. 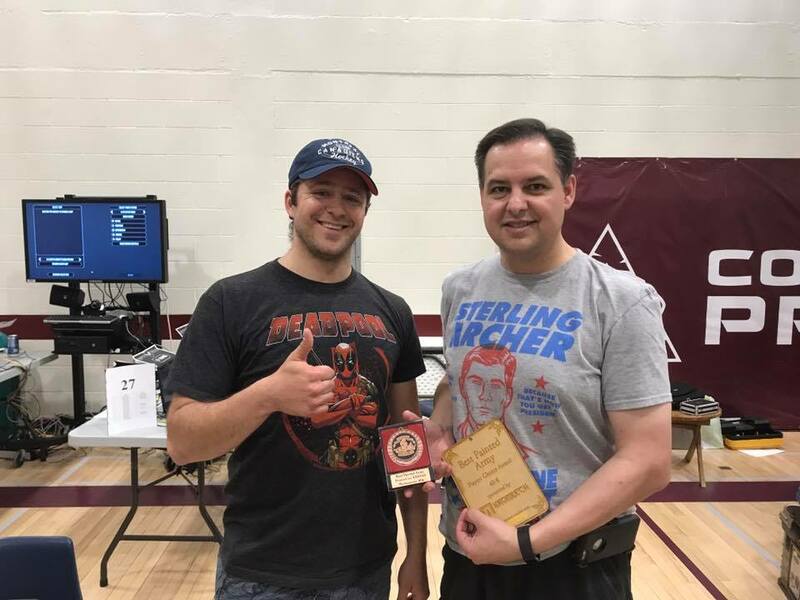 Congratulations to Kelly Mitton who won the Settlers of Catan Tournament! Kelly proved that her settlement was the best and her capital city was the best, she built this city on wheat and ore.